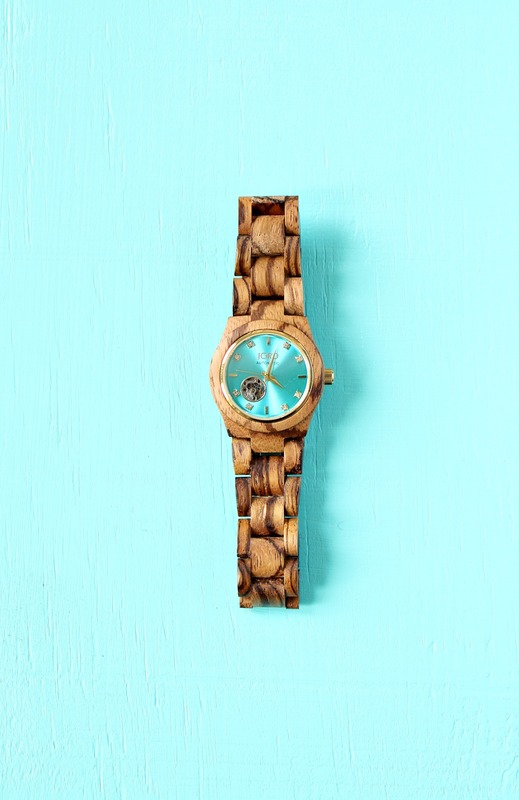 An Aqua and Wood Watch? Yes Please! 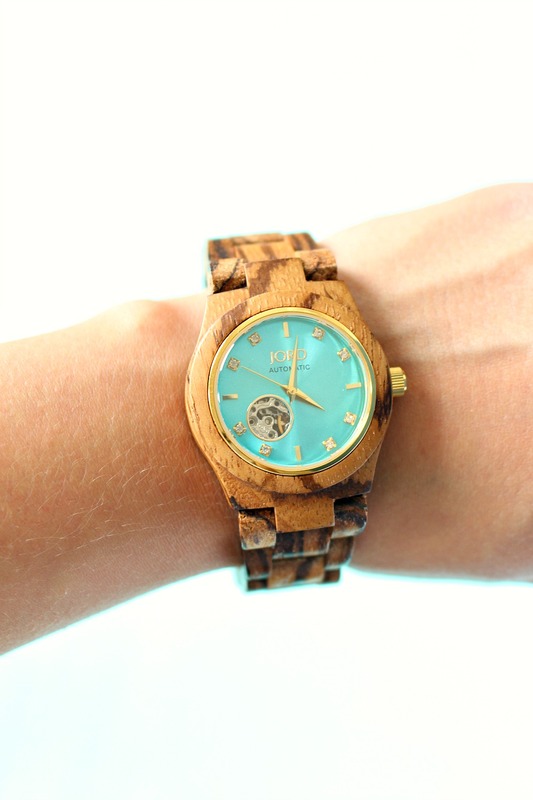 I have a new aqua and wood watch and I’m obsessed! When JORD reached out and offered me a watch to review, I had spent the previous day alternating between obsessively sanding and gently stroking (only to check for rough spots!) our new DIY walnut waterfall desk. 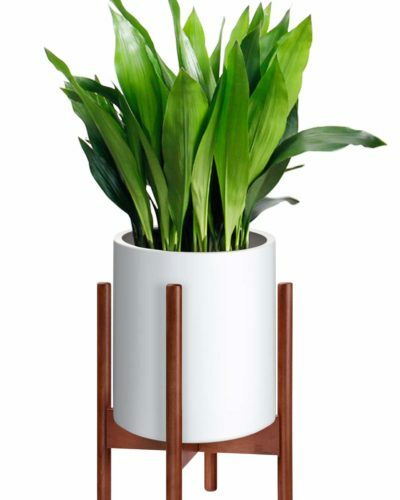 My mood was: everything in my life now needs to be made from solid wood. So I jumped at the chance to start sporting a gorgeous wood watch! I can’t help it! 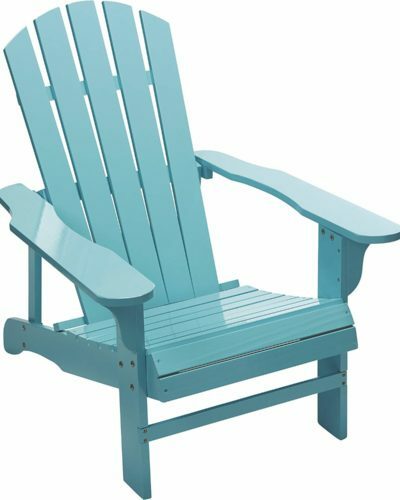 Aqua just makes me happier than other colors. 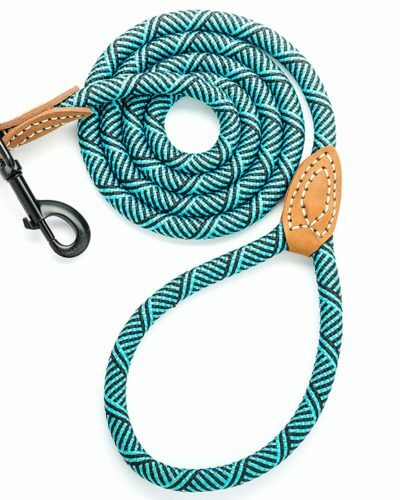 Really, most shades of green and blue do much to lift my mood, but aqua and turquoise just put a stupid grin on my face – and why wouldn’t I want that? 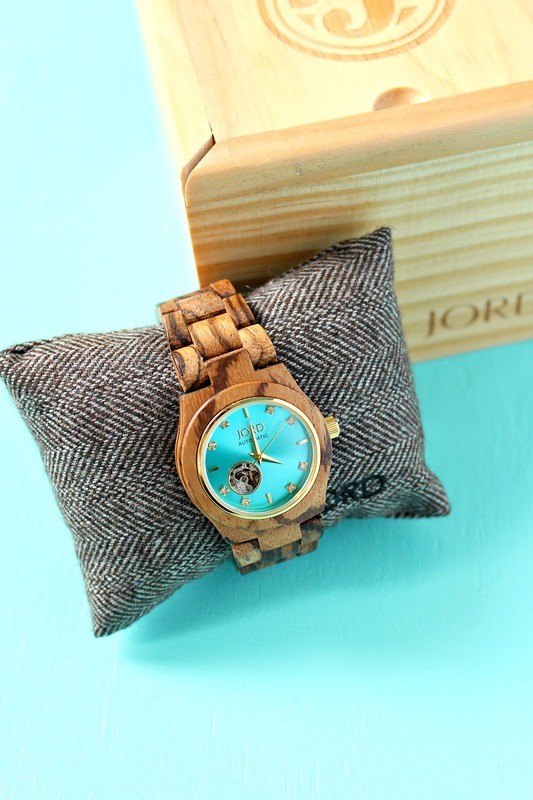 The folks at JORD were amazing and happily offered up two different styles they thought I might like: a Mint and Sandalwood wood watch and a Zebrawood and Turquoise wood watch. 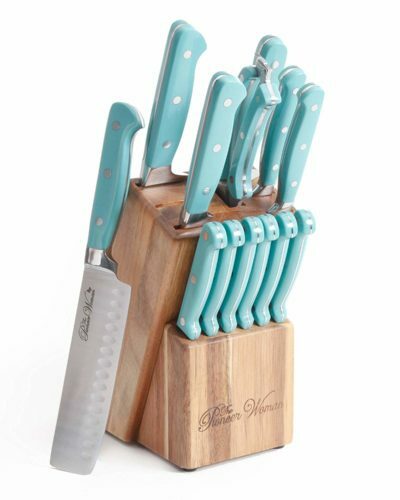 Both were gorgeous, but I loved the bright turquoise face of the Cora series watch because it felt so summery to me. When my watch arrived in the mail – such a nice treat from the endless bills and flyers – it looked even more gorgeous in person and was beautifully packaged! It has a self-winding, automatic movement and you can see the watch working from the back and also through a small window in the front, which I find mesmerizing. The Swarovski crystal markers are a really pretty touch and make the watch feel even more luxurious. 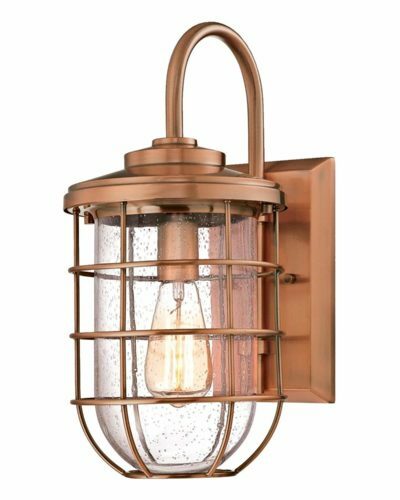 I absolutely love wearing it because it’s helping me hang onto summer! leaves are beautiful, they just remind me that soon I’ll be logging more time with my snowblower than my spouse. Sure, I make the best of fall and winter, but I love spring and summer with a fiery passion! Summer is my absolute favorite season. 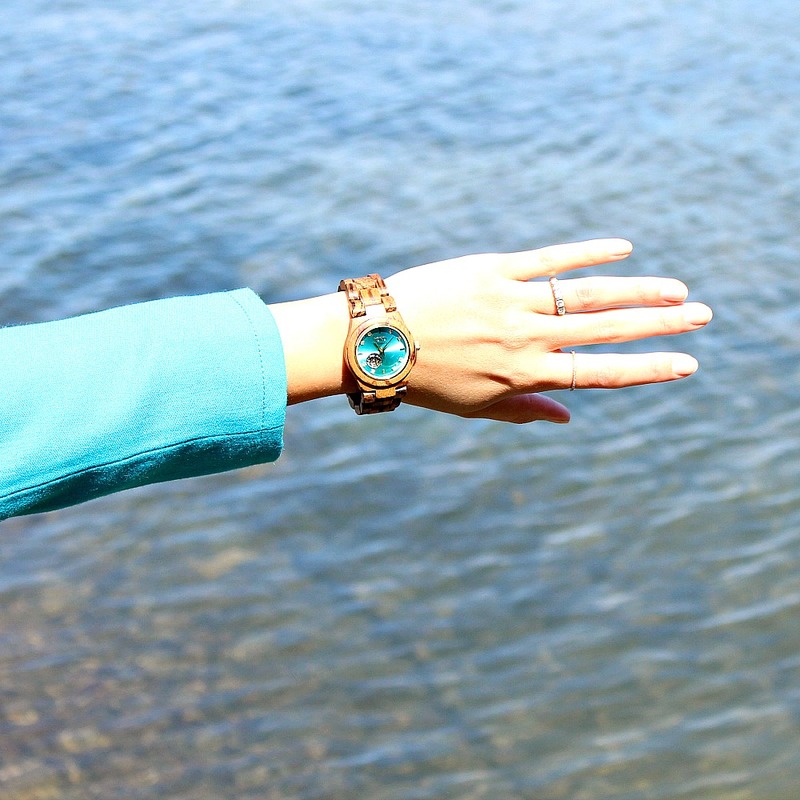 My new, bright turquoise watch perfectly captures summer vibes and sunny days. I used to wear a lot of blacks, whites and greys (shocking, right?) but summertime always sees me sporting more colorful clothes. This year, I’m adding more color to my winter wardrobe, too! In my life, more aqua is always the answer to my woes. Along with sending me a watch, JORD sent along an interesting opportunity for Dans le Lakehouse readers: there’s a $70 USD giveaway going on for the next week – plus, anyone who enters the giveaway gets an automatic $20 discount. Twenty bucks is twenty bucks, right? Check out the giveaway right here! This post is sponsored by JORD. All thoughts, words, opinions, and aqua obsessions are my own. Previous Post Komondor Stamped Birch Slice Coasters – Make a Set With Your Own Dog’s Breed! Ooh gorgeous! 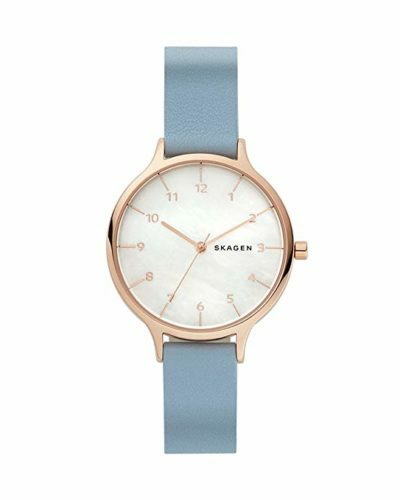 I never considered a wooden watch band but now I may be in love… thanks for sharing this with us! I know what you mean! 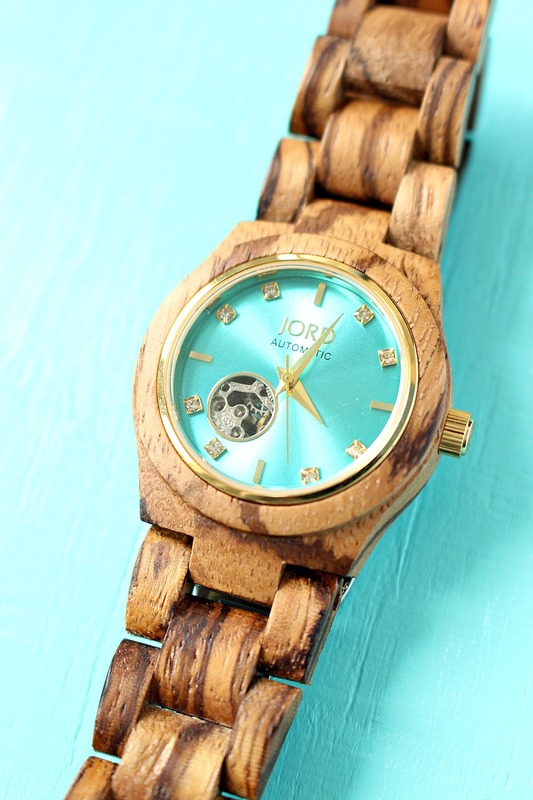 Before getting the email from JORD, I didn't even realize wood watch bands existed! Happy you like it! I can tell you that it feels really nice to wear, the wood is smooth and has a warmth to it. I wear mine all of the time now. Wow! Love it. What a beautiful combination. And I love when wood is used in unexpected places. It looks lovely on you with your coordinated aqua jacket. I am really impressed with the idea of a wood watch – how clever! Thanks for the compliment! I am wearing more turquoise these days and am loving it. Why did I decorate with bright colors but not wear them much before? I am on the road to becoming one of those eccentric older ladies… I'm excited, lol. 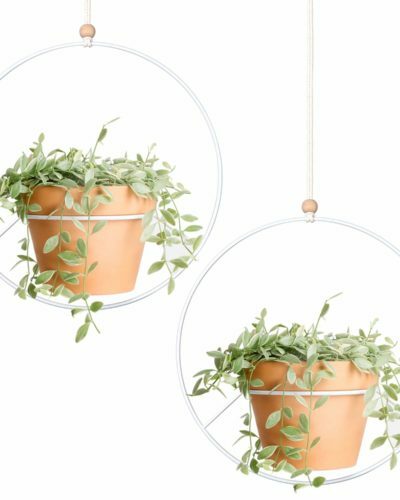 Ooh, I love these! The turquoise face is perfect for you.